The Steamboat Golf Club has remained a treasure in The Yampa Valley. With generous fairways, small target greens, and challenging shots, a round here will satisfy even the most discriminating player. 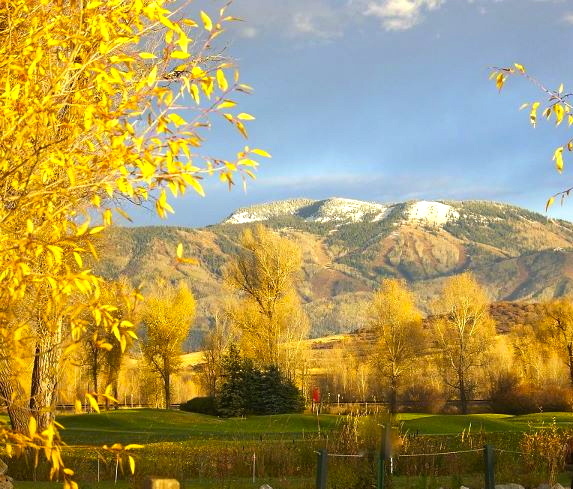 Open to the public and host to an active social schedule, The Steamboat Golf Club along with our 100 Member/Owners continues to play an integral role in the local community. The 9- hole course borders the Yampa River featuring beautiful views of the valley and Steamboat ski mountain. Free Warm-up cages and a chipping & putting green are available on site. Make time to enjoy lunch or a cold beverage on our scenic creekside deck. The Steamboat Golf Club is family oriented and an affordable option to enjoy a round of golf in the valley. Typically playing in 2 hours or less, it’s an easy way to play and get on with your day. *Retreatia guests get a special deal. Ask your guest services agent for more details.